In 1911 the family were at 35 Lime Terrace, Burbage, Buxton. (Census RG 14/21238) and William was at School. After School he worked at Buxton's General Post Office, before transferring to Whaley Bridge. According to the SDGW database, William enlisted at Whaley Bridge, Derbyshire, but unfortunately, his Service papers have been destroyed during a Second World War bombing raid. His Medal Index Card also gives no indication when he entered the War, which tends to mean, as he did not qualify for the 1914-15 Star, was after December 1915 - see below. He was trained as a No. 1 in a Lewis Gun team. William's 15th (Service) Battalion was formed at Nottingham in February 1915, by the Mayor and a Committee, as a Bantam Battalion. In June 1915 they moved to Masham and were attached to 105th Brigade in 35th Division. In August 1915 they moved again to Salisbury Plain and on the 1st February 1916 landed in France. The 15th (Bantam) Battalion, was made up initially of men who although fit were below the normal minimum service height of 5' 3" (1.6 m). They moved to France with the 35th (Bantam) Division in 1916 and fought with great distinction and heavy casualties throughout the 1916 battles on the Somme. However at the end of 1916, the problems of finding 'bantam' reinforcements in sufficient numbers became too difficult; so the 15th was redesignated a normal 'service' battalion and fought as such until the end of the War. 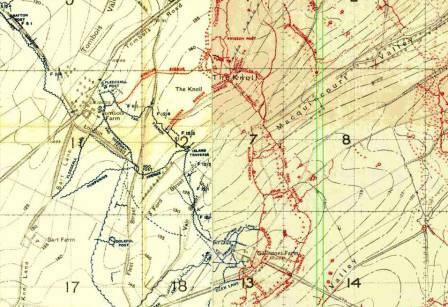 In August 1917 the War Diary reported that much of the Battalion's time was spent at camp in the early part of this month, in training and preparation for an attack planned to knock out a dangerous position in the German lines, called "The Knoll", near Gillemont Farm, east of Lempire on the Somme. On the day William was killed in action 24 other men of the 15th Battalion died. 2 more dying of wounds and 53 wounded, with a further 5 missing. He is one of 8 buried in Villers-Faucon Cemetery; 16 have no known grave and are commemorated on the Thiepval Memorial. "17th Moved via Longasvesnes and Villers-Faucon to near St Emilie. Camped at 62cE23a and b. 18th Moved to assembly position for an attack on the Knoll, moving via Ronssoy-Lempire-Tombois Farm road, to Fleeceall Post and Fag Lane trenches to the Old Barrier on the Sunken Road. 19th A successful attack. Began at 4am and took trenches, consolidated the positions gained and built a bombing block. Casualties 25 killed, 53 wounded, 2 died of wounds and 5 missing. 20th Relieved by the 14th Glos, moved to St Emilie. Remained for three days." Smissen Post, after the attached Battalion Chaplain). replied "Yes sir, I am quite ready, and, by jove, we'll give it to them this morning'. well it would be done, and done well." · William's older brother, Dr. 27179 Sydney Brindley, enlisted in the Royal Regiment of Artillery on the 1st September 1914. 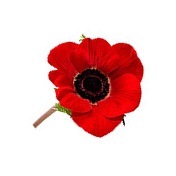 He served in France from the 18th May 1915 for the duration of the War.